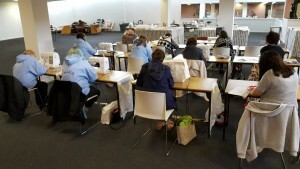 Check out our latest IKEA sewing workshops! For the back-to-school crowd in September, we made pencil cases in a fantastic variety of colours. If you’d like to take part in any of our upcoming sessions, check the Warrington IKEA for times. Hope to see you there! This is a great time of year to use your purchasing power for the greater good! Make sure your pounds, pence and presents will make a difference by buying social and finding just the right gift that is Made in Britain! If you need any suggestions, please get in touch! We’ve got lots of ideas, upcycled accessories, soft furnishings and a network of social enterprises we can put you in touch with if you’re looking for something specific! Happy shopping! 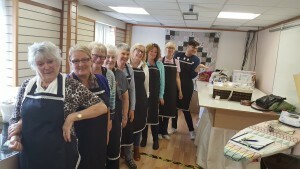 Thanks to our lovely team of Silver Sewers for their contributions (including aprons, pictured, and waistcoats) to the launch of our Halton branch and for the creativity, energy and joy they bring to the workshop every week! In collaboration with local enterprise Total Reuse, the Sewing Rooms contributed soft furnishings and fabric to the re-style of Sheffield Hallam University’s student bar. What a great project to kick off the new school year with! Our talented team recently refurbished and recovered chairs in the Greenhill Community Centre. We love the bright colours and of course, the craftsmanship is second to none! Great job! 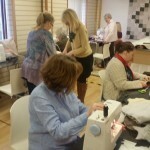 Launch of the Sewing Rooms Halton! 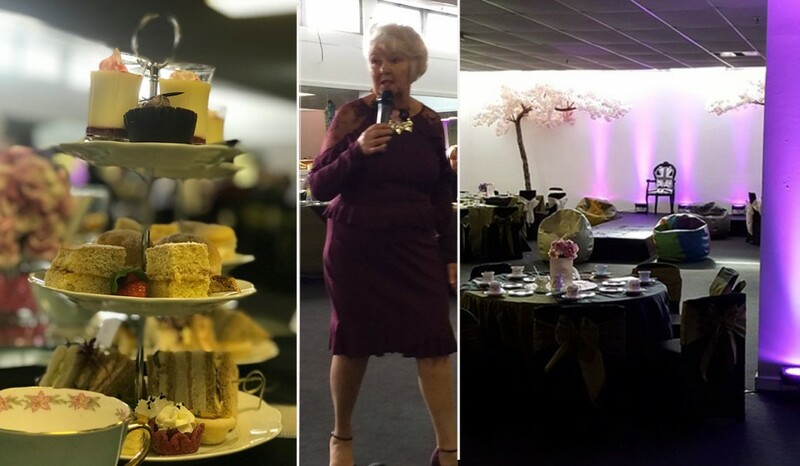 October 2017 saw the grand opening of The Sewing Rooms Halton celebrated with an afternoon tea, fashion show, presentation by Lord Andrew Mawson (Chairman of Well North) and a variety of sewing activities. In his speech, Lord Mawson said, “Entrepreneurial cultures are all about people; it’s not about structures, processes and policies and all that stuff! The Sewing Rooms team ran a mindful sewing for improved mental wellbeing session at the health mela held by the Skelmersdale Library on International Youth Day. 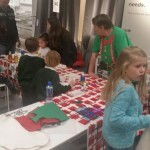 More than 30 young people took part, personalising a hoodie or sweatshirt which they took home at the end of the day. It was a rewarding day for all involved! 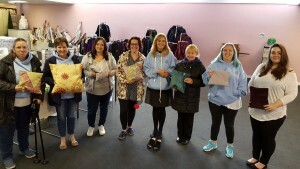 Located in The Sewing Rooms’ new premises in Runcorn Shopping City, the new sewing group’s first task was to make cushions. Choosing fabric from beautiful roll ends donated by Panaz Fabrics, the results were fabulous. 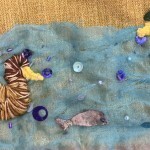 This course focuses on getting creative with mindful sewing, with support from the European Social Fund, Workers’ Educational Association, Well North and Well Halton. 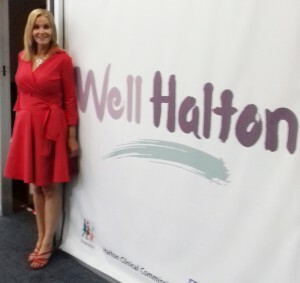 Started in Skelmersdale, The Sewing Rooms is a multiple award winning social enterprise that, with support from Well North, is expanding into Halton. 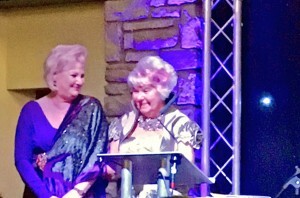 The Sewing Rooms enterprise was co-founded by lifelong entrepreneurs Maureen Fazal and Paula Gamester, and its expansion includes hiring local creative talent Victoria Begg. 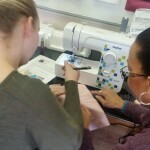 The Runcorn native and textile designer brings with her a wealth of local knowledge and experience, which will help the Sewing Rooms Halton replicate the successful mix of social and commercial programmes already being run in Skelmersdale. 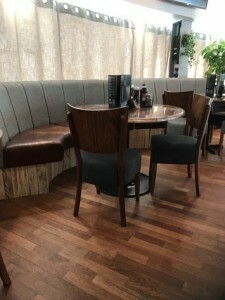 Business sustainability in Halton will focus on developing the Sewing Rooms’ partnership with John Lewis, including expanding the benefits to the local community of donations of school uniform stock, and offering an assortment of sewing classes as well as an alteration and curtain making service. Both branches of the enterprise also will be providing a new range of community-based social prescription interventions for people experiencing mild to moderate mental health distress. The Sewing Rooms Halton is already benefiting from the strength of the local community, with the new premises based in space donated by Runcorn Shopping City and building and redecorating work donated by members of Runcorn Veterans Association. Lord Andrew Mawson, Executive Chairman of Well North, will officially open The Sewing Rooms Halton on Thursday 5 October 2017. We love working with our Talent Match students! From dressed teddy bears to cosplay designs, our Talent Match students display heaps of creativity. We have huge amounts of confidence in their talent and futures! Well done! We’re always looking forward to the next design. PT project assistant – apply now! 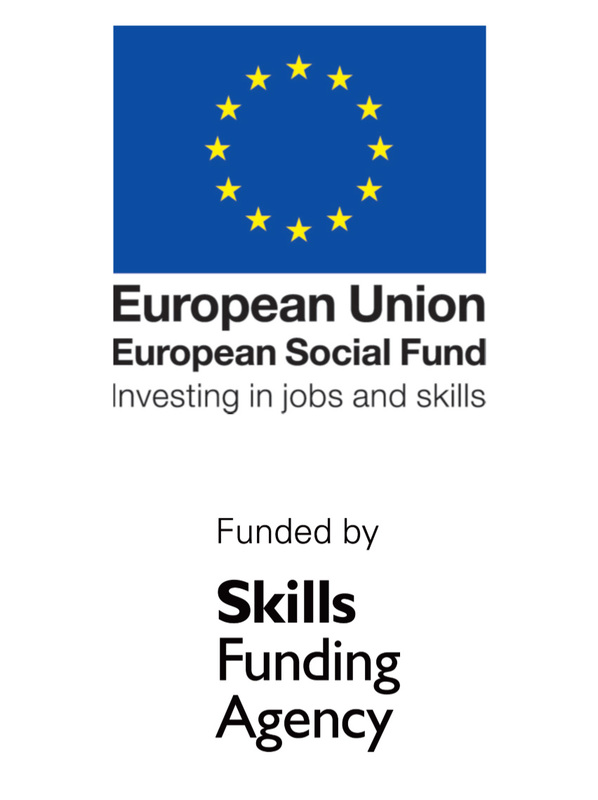 The Sewing Rooms is a delivery partner for Building Better Opportunities (Changing Futures) Initiative which is funded by the Big Lottery Fund and the European Social Fund. 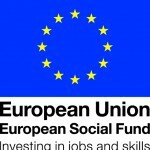 This is a new project providing support to those people most removed from the labour market by providing tailored support to reduce or remove barriers to work. To enable us to assist us with the successful delivery of this project, we are now looking to recruit a part-time Project Assistant. For further information or to request an application form please contact: Maureen Fazal – Maureen@the-sewing-rooms.co.uk; 01695 550772 or Paula Gamester – Paula@the-sewing-rooms.co.uk; 07867639751. West Lancashire Council’s Mayor Neil Furey has chosen The Sewing Rooms as one of his chosen charities. As such, we will be the beneficiaries of a variety of fundraising efforts over the next year. We share this honour with two other local organisations and couldn’t be happier. Thanks again, Mayor Furey! 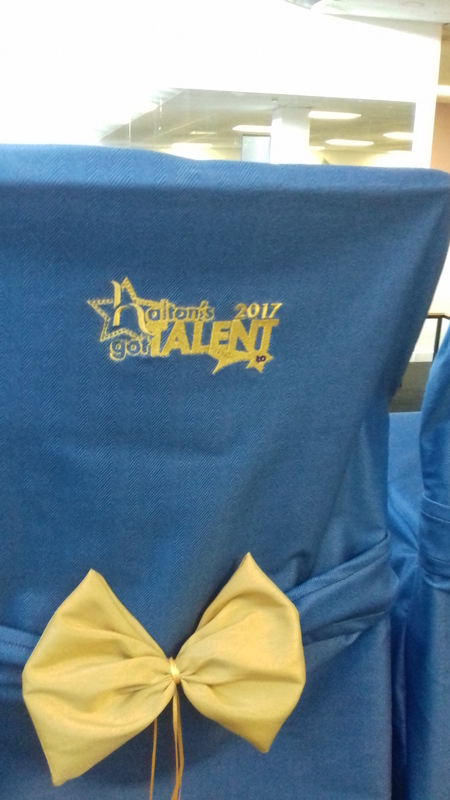 Time to show off your skills at the Halton’s Got Talent competition! Auditions are taking place at Runcorn Shopping City on 22 and 29 July and 5 August. The final will be held at The Brindley Runcorn on 2 September. 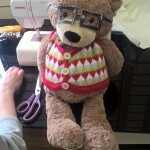 Guess how The Sewing Rooms Halton got involved? 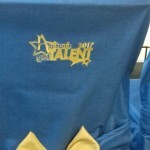 We made the beautiful judges’ chair coverings! 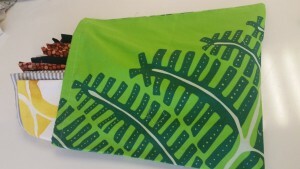 The fabric is from our partner Panaz, and the embroidery is custom made by hand. Wow! Our creatives know no bounds! 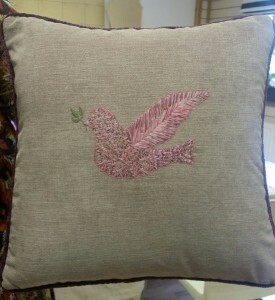 One of the Sewing Rooms’ latest creations is a hand embroidered peace dove using silk thread and beautiful fabric from Panaz. And our upcycling work continues. 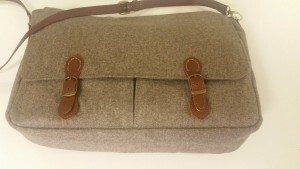 Check out this fabulous tweed laptop bag with leather straps and buckle. 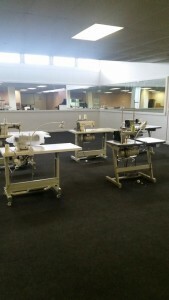 We are over the moon excited at being able to announce The Sewing Rooms’ expansion into Halton! Based in an amazing space donated to us by Runcorn Shopping City, our new premises are already seeing the benefit of community. Members of the Runcorn Veterans Association have donated their time and expertise in helping us get the space ready for business, and most excitingly of all, we are proud to announce that Runcorn local and textile designer Victoria Begg will be taking the helm of The Sewing Rooms Halton! Amongst her many duties, Victoria will be helping The Sewing Rooms create wide ranging local benefits from our wonderful relationship with national retailer John Lewis. “I have always had a passion for art, craft, design and creation,” said Torie. “As a young adult I followed my passion for craft by attending Halton College and gaining a HNC in Art and Design and then followed this by gaining a HND in Fabric Technology. 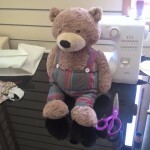 As well as upcycling unused school uniform stock into new items that include laptop bags and cushions, The Sewing Rooms Halton will be looking for ways to help local families make use of the available uniforms. 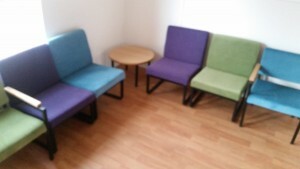 The Sewing Rooms’ commercial projects will now also be available from the Halton premises. 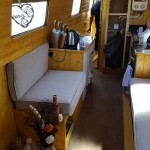 These include an alteration service, bespoke curtains and soft furnishings and a range of classes. New community programmes and projects will be announced in due course! We’re “sew” looking forward to meeting our new neighbours and creating lasting relationships within the community. Stop by or get in touch! We’d love to hear from you. 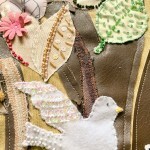 Take a look at the beautiful work completed by many members of our community! We LOVE the detail, humour and heart that have gone into making this amazing tapestry banner celebrating the things we know and love about Skelmersdale! Soon it will be hanging locally for everyone to enjoy! 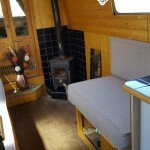 A new challenge recently came our way when we were asked to quote for the outfitting of a narrow boat with seating pads and curtains. 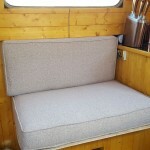 You can see what a great job our skilled workshop team did. 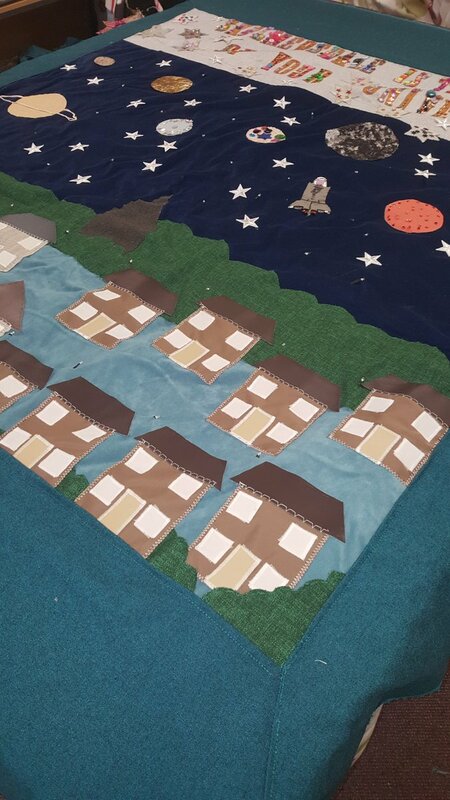 Our local sewing events have been taking place throughout the Skelmersdale community, and we’ve got a sneak peek of the start of the banner! 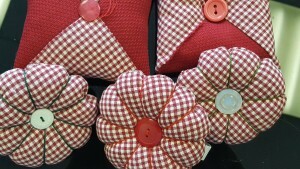 If you haven’t already, please stop by some of our forthcoming sewing sessions. We want the banner to reflect and be relevant to all our citizens. 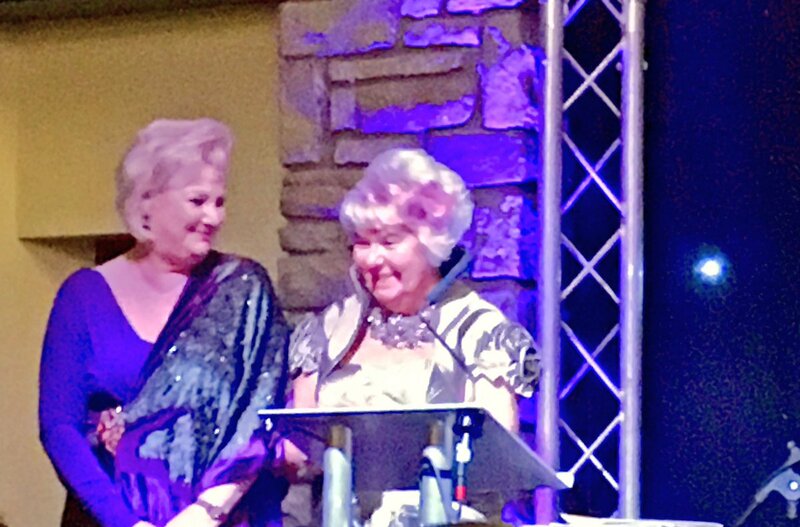 Awarded by the Social Enterprise Lancashire Network (Selnet) as part of the Enterprise in Society Awards 2017, the award recognised the work The Sewing Rooms completed in partnership with Panaz Fabrics, IKEA and John Lewis. Panaz donates roll end fabrics to the Sewing Rooms, which, when combined with John Lewis’ debit stock, are worked up into unique, upcycled creations that include clothes, soft furnishings and accessories. 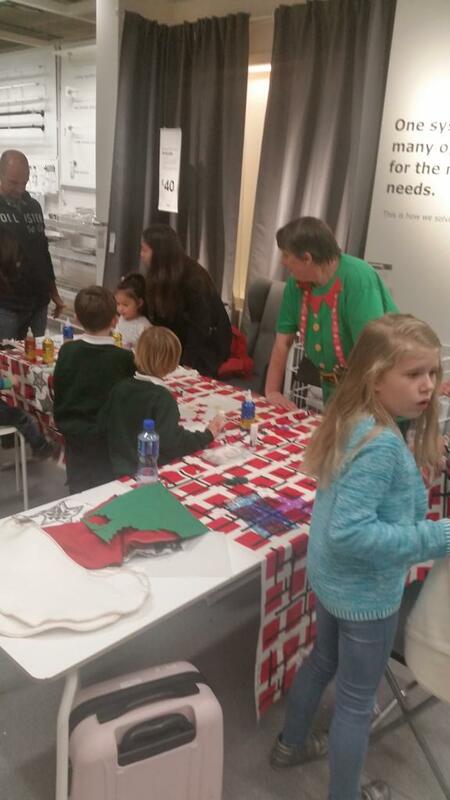 In addition, the Sewing Rooms make and alters curtains for IKEA Warrington and runs regular in-store craft and sewing sessions. We are very proud of this achievement and of course could not have done it without the support of our fantastic partners! Thank you to everyone who has cheered us on so far in this remarkable journey. 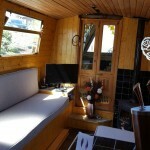 We’ve been working on such an exciting mix of projects that we thought we’d share a few photos with you here. 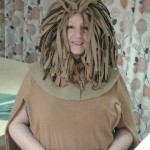 It’s sew fun seeing the costumes for the Artz Centre’s Madagascar production taking shape. 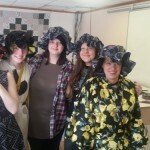 And our latest team of Talent Match students produced these fantastic kimonos! If you’re in the market for a unique gift, our upcycling department always has something interesting available. 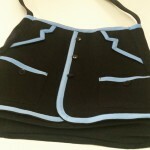 Our school uniform project continues, with items being made that include these super useful tote bags. 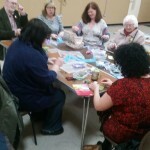 Working with the Skelmersdale Outreach Trust, Skem International and West Lancs Council for Voluntary Service, the Sewing Rooms is delivering the Sew Fab International Women’s Project. Having welcomed and worked with asylum seekers for the past 18 months, Skem International realised that many of the women didn’t feel comfortable or confident in joining local initiatives. 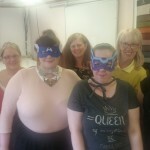 After learning that, as a group, the women that had come to live in Skelmersdale liked the idea of working with materials, Skem International and the Sewing Rooms saw the potential to break down barriers as well as improve communication and build up women’s confidence. A group comprised of a mix of long-time local residents and asylum seekers are now meeting weekly for six weeks. 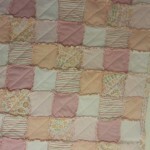 The project involves mindful sewing, upcycling clothing and creating a community patchwork banner. 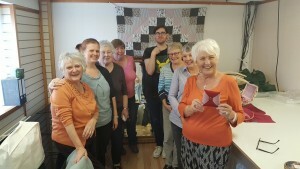 Through the Sewing Rooms’ experience in supporting and promoting wellbeing through creative sewing, the teams behind the project are hoping to instil shared respect, knowledge and communication skills, with longer-term changes focused on improvements in community cohesion. The final patchwork banner will be displayed locally, and the Sewing Rooms will provide updates on the project in the near future. 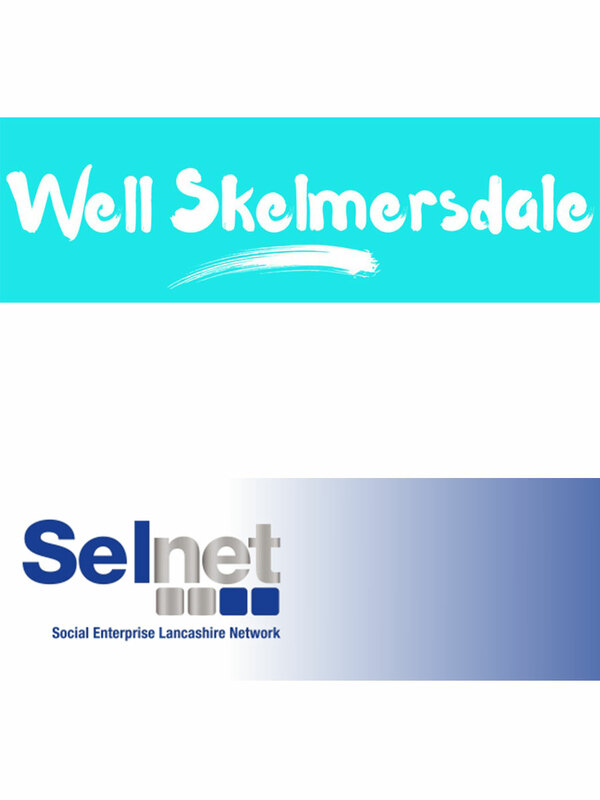 We’re excited and thankful to announce that we’ve been shortlisted for the Social Enterprise Lancashire Network’s (Selnet) seventh annual Enterprise in Society Awards in the Most Effective Collaboration category. We’ll find out the results at the end of April at the awards ceremony in Blackburn. Win or not, we’re proud to be nominated and included amongst the many organisations making a substantial difference in their communities. 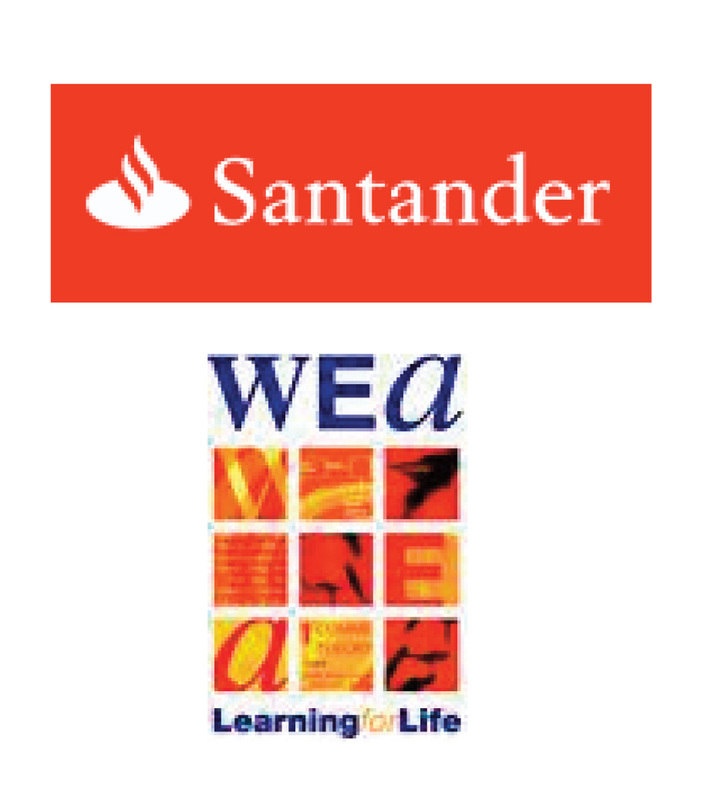 Thanks to all our supporters and the people we work with through all our different projects! As we continue our Talent Match course, a Big Lottery Fund programme that links young people in 21 different areas around the country with local employers and education providers, we are excited to be in the process of training several young women in the art of sewing machine mechanics. 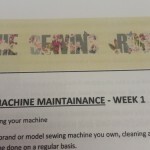 Not only is it a great way to expand participants’ general knowledge of sewing, being skilled in fixing and maintaining the machines gives them an extremely useful, and niche, addition to their CVs. 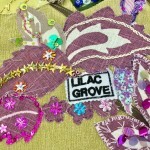 We are excited to announce our latest project celebrating community, wellbeing and sewing! 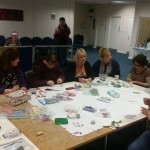 Our Skelmersdale Sew Fab Extravaganza road show is coming to a venue near you! 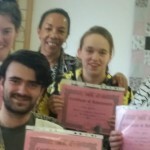 Join the Sewing Rooms’ team of tutors and students in creating a magnificent tapestry banner that showcases the diversity of our community and relationships with each other. Find out more, including how to get involved. 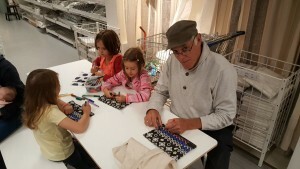 We welcomed in the New Year with a brand new Patchwork Buddies class! Everyone was eager to get started, and you can see below how fast participants’ skills developed. 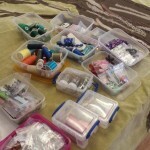 Please get in touch if you or anyone you know would like to participate in this or other sewing classes.